Rate this project Eugenio Paolantonio has announced the release of Semplice Linux 2.0.0, a lightweight desktop distribution based on Debian's "unstable" branch and featuring the Openbox window manager: "The Semplice team is proud to announce the immediate release of the stable release of the 2.0.x branch (code-named 'emily') of Semplice Linux. The Semplice live system contains: Openbox 3.5.0, the window manager used in Semplice; Linux kernel 3.1.6, bringing the latest and greatest drivers and performance; Chromium web browser 15.0.874.121 based on the WebKit rendering engine; Exaile 0.3.2.2, a music manager and player for GTK+ written in Python; GNOME MPlayer 1.0.4, the power of MPlayer combined with a friendly interface; AbiWord 2.9.1 and Gnumeric 1.10.17; Pidgin 2.10.1 Internet messenger, a graphical, modular instant messaging client; Guake terminal 0.4.2, a GTK+ drop-down terminal." More information can be found in the release announcement and in the more detailed release notes. Download (MD5): semplice_2.0.0_200.0.iso (560MB), semplice64_2.0.0_200.0.iso (560MB). The developers of Semplice Linux, a Debian based distribution, have announced the launch of Semplice Linux 2015.2 for Workstations. The new release is based on Debian 8.2 and includes version 4.1.7 of the Linux kernel. "It's our pleasure to announce the first stable release of Semplice for Workstations 2015, codenamed `Jethro Tull'. After a month since the release of the preview version, we now feel confident to release Semplice for Workstations 2015 to everyone. Huge thanks go to everyone who took part in the testing phase and has thus contributed in making this release possible. This release is based on Debian 8.2, plus the updates available at the moment of build (2015-09-18). The ISO images ship with Linux kernel 4.1.7." The new release is available in 32-bit and 64-bit builds for the x86 architecture. Further information on this release, along with known issues and upgrade instructions, can be found in the project's release announcement. Download (MD5): semplice64_2015.2_2011.0.iso (662MB, pkglist). 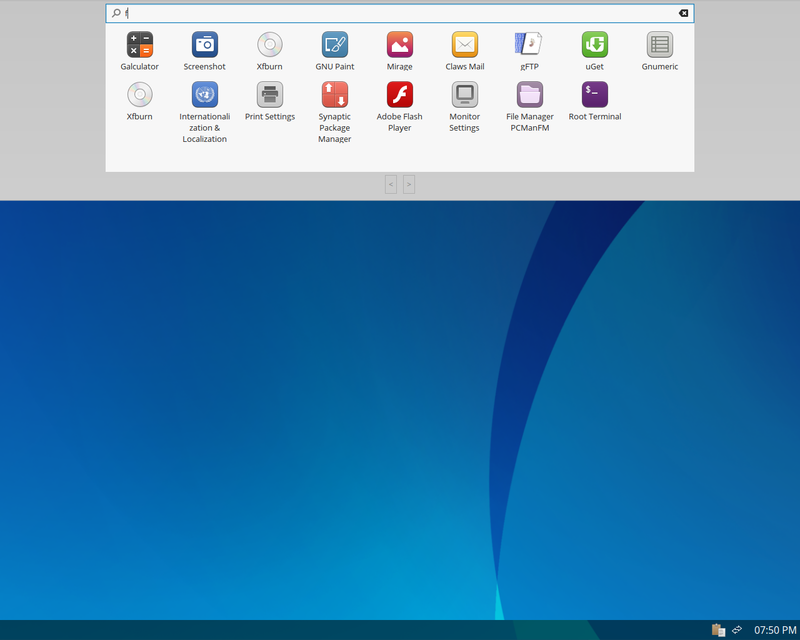 Eugenio Paolantonio has announced the release of Semplice Linux 7, a lightweight, Debian-based distribution that comes with a custom GTK+ 3-based desktop environment called "vera": "It's my pleasure to announce the release of Semplice 7, code-named 'Comfortably Numb'. Functionally and aesthetically-wise, you won't find that many differences from Semplice 6. But under the hood there are plenty. Openbox became a component of the desktop environment and not the desktop environment itself. This distinction will help me introduce vera, a plugin-based GTK+ 3 desktop environment, made from scratch by us. Currently Openbox and tint2 run as plugins, but they will eventually get replaced by our own ones. We are not fans of the NIH thing, but personally I feel that this is the right step to make in order to get things up and running on Wayland. Wayland is the future and it's actually already production-ready (I, for example, already run it in my phone, and it's pretty damn exciting)." Continue to the release announcement for more information, with additional details provided in the release notes. Download (MD5): semplice64_current-7_700.0.iso (653MB, pkglist). Eugenio Paolantonio has announced the availability of the first development build of Semplice Linux 7, a lightweight, Debian-based distribution that ships with a desktop environment called "Vera" built on top of the Openbox window manager: "It's my pleasure to announce the immediate release of Semplice 7-preview, code-named 'Comfortably Numb'. After long delays in the Semplice 7 cycle, we are now confident to make a preview release available to the general public. Although this release comes late in the development cycle, it's feature-packed and similar to the upcoming final version, but there are still some rough edges that we need to polish. This preview snapshot ships with the latest 'sid' as of 2014-11-27 and Linux kernel 3.17.2. New features include our new Vera desktop environment (with a new control center), PulseAudio enabled by default, Chromium replaced by Iceweasel, a desktop launcher and an interactive tutorial." See the release announcement and release notes for more details. Download (MD5): semplice64_current-devel-7_636.0.iso (665MB). 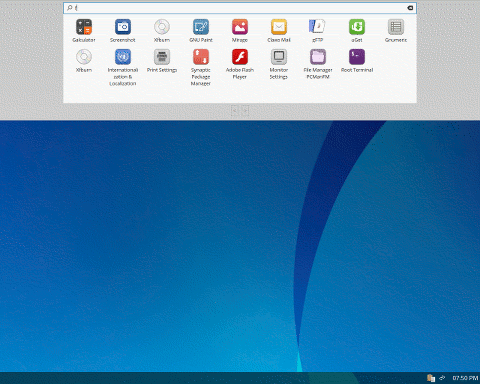 Eugenio Paolantonio has announced the release of Semplice Linux 6, a lightweight GNU/Linux distribution with Openbox, based on Debian's "unstable" branch: "It's our pleasure to announce the release of Semplice Linux 6, code-named 'Stairway to Heaven'. This release brings many important performance-related changes, such as systemd as the default init system, a new desktop-optimized kernel and compressed memory. Also, we have rewritten our menu builder. With this release, the central part of the system, the menu, is faster than ever. Other noteworthy changes are the support to window snapping and an easy-to-use tool to add launchers to the panel. The Semplice live system contains: Openbox 3.5.2, Linux kernel 3.12.7; Chromium web browser 31.0.1650.63, Exaile 3.3.2 and GNOME MPlayer 1.0.8, Abiword 2.9.2 and Gnumeric 1.12.9, Pidgin Internet messenger 2.10.7...." Read the release announcement and release notes for further information. Download (MD5) the new Semplice live CD image from SourceForge: semplice64_current-6_600.1.iso (634MB). Eugenio Paolantonio has announced the release of Semplice Linux 5, a new version of the project's lightweight and simple GNU/Linux distribution based on Debian's "unstable" branch: "It's our pleasure to announce the immediate release of the fifth stable release of Semplice Linux. Changes? Are there any changes or you just kept drinking? We haven't just spent nights drinking; we changed a lot of things and fixed many nasty bugs. For example, we added UEFI, LVM and encrypted LVM support in our even more awesome installer. So even if the NSA goes to your home, they can't retrieve your important personal data. And you can get easily to your favourite web applications via our new WebKit-based web application viewer, oneslip. By default we include links to Twitter, Facebook, YouTube and a beautiful Tetris game. Also, you can now further customize the features of your Semplice box. Other changes are listed in the changelog." Here is the brief release announcement, with further information available in the more detailed release notes for more details. Download (MD5): semplice64_current-5_500.0.iso (621MB). Eugenio Paolantonio has announced the release of Semplice Linux 4, a fast and light Linux distribution with Openbox, based on Debian's "unstable" branch: "It's our pleasure to announce the immediate release of the fourth stable release of Semplice Linux. Features: New GTK+ 3 mixer; visual effects; a simple application to remove some resource-hungry features (Bluetooth, printing); new beautiful theme (with a dark variant); Openbox 3.5.0 is the Window Manager used in Semplice; Linux kernel 3.2.41; Chromium web browser 26.0.1410.43 based on the WebKit rendering engine; Exaile 3.3.1 (a music manager and player for GTK+ written in Python) and GNOME MPlayer 1.0.6 (the power of MPlayer combined with a friendly interface); AbiWord 2.9.2 and Gnumeric 1.12.1; Pidgin Internet messenger 2.10.7, a graphical, modular instant messaging client." See the release announcement and release notes for more details. Download (MD5): semplice64_current-4_400.0.iso (540MB), semplice_current-4_400.0.iso (544MB). 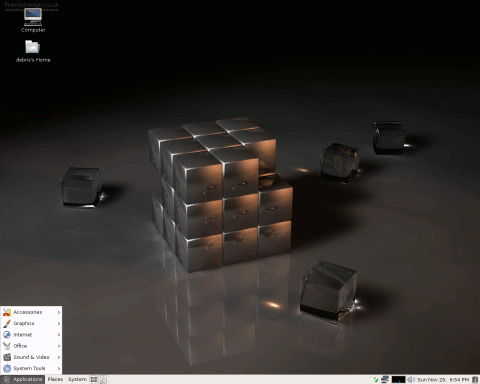 Eugenio Paolantonio has announced the release of Semplice Linux 3.0.0, a lightweight distribution based on Debian's unstable branch and featuring the Openbox desktop user interface: "The Semplice project is pleased to announce the immediate release of Semplice Linux 3.0.0, the first stable version of the 3.0.x 'pulse' series. Semplice Linux 3.0.0 contains: Openbox 3.5.0, the window manager used in Semplice; Linux kernel 3.2.35, bringing the latest and greatest drivers and performance; Chromium web browser 22.0.1229.94 based on the WebKit rendering engine; Exaile 3.3.1, a music manager and player for GTK+ written in Python; GNOME MPlayer 1.0.6, the power of MPlayer combined with a friendly interface; AbiWord 2.9.2 and Gnumeric 1.10.17; Pidgin Internet Messenger 2.10.6, a graphical, modular Instant Messaging client; Guake terminal 0.4.3, a GTK+ drop-down terminal...." Read the release announcement and release notes for further details. Download (MD5): semplice64_3.0.0_300.5.iso (517MB). Eugenio Paolantonio has announced the availability of the release candidate for Semplice Linux 3.0, a lightweight desktop distribution with Openbox, Linux kernel 3.2, Chromium 22, the GNOME office suite and other lightweight applications, all derived from Debian's unstable branch: "The Semplice project is proud to announce the immediate release of the release candidate (RC) of the 3.0 branch (code-named 'pulse') of Semplice Linux. This hopefully will be the last development image before the final 3.0.0 release. Why should I care? The installer is now greater than ever. You can now enable the root account in two clicks. And with the automatic partitioning, dropping Windows is easier. Also, the 'save space' feature mentioned some time ago has been integrated directly into the installation wizard." See the brief release announcement and read the detailed release notes for further information. Those interested in testing this release candidate can download (MD5) it from SourceForge: semplice_3.0rc_290.0.iso (530MB), semplice64_3.0rc_290.0.iso (526MB). Eugenio Paolantonio has announced the availability of the first beta release of Semplice Linux 3.0, a lightweight Debian-based ("unstable" branch) distribution with Openbox: "The Semplice project is proud to announce the immediate release of Semplice Linux 3.0 Beta 1, the third development release of the 3.0 series. What has changed? We have an armel port now, we currently do not provide images, but you can already install it starting from a Debian 'sid' bootstrap. Also, our already-awesome installer just got better: it now has a graphical front-end. After high demand, Semplice 3.0 Beta 1 is now shipping uGet by default. We have a decent task manager now, LXTask; core boot files are now cached, so you get faster booting." Here is the brief release announcement. Download (MD5): semplice_3.0beta1_222.0.iso (532MB), semplice64_3.0beta1_222.0.iso (529MB).